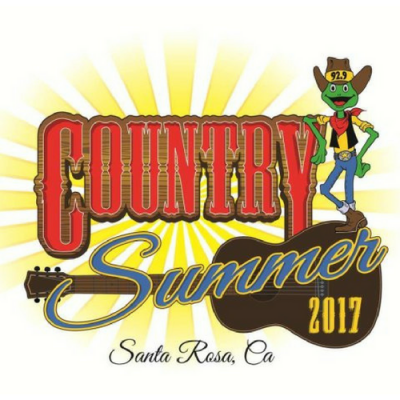 In its fourth year, Country Summer is Northern California’s biggest country music festival and Sonoma County’s biggest party. This three-day destination country music celebration features 14 top entertainers, attractions, food and libations. In 2016, the event attracted more than 27,000 fans from 35 states and four foreign countries and was voted Press Democrat’s Best Music Festival of the Year. Since its inauguration, Country Summer has been bigger and better every year, building a loyal fan base of attendees who come back year after year. Our fans trend toward young to median­ aged adults of median to high-income households. With up to a 45 minute lapse between performances on the main stage, festival-goers will instinctively be drawn to the Marketplace while enjoying relief from the heat in the pleasantly cool Finley Hall building. It’s an amazing opportunity to reach thousands of customers. Fans come to Country Summer to celebrate, purchase festival mementos and spend their money! We have tracked higher-than-industry standards on food and beverage per-capita purchases, so Country Summer guests are likely customers for quality Western wear, high-end jewelry, quality food products and other keepsakes.